AJM SHAFIUL ALAM BHUIYAN analyses the prospects of the industry in Bangladesh. Television journalism has been gradually emerging as a distinct field in Bangladesh. As there has been no systematic effort to define the contour of this emerging area, my objective in this article is to initiate this work. Television has been a key focus in media and communication studies at the university level across the world. Because of challenge from the Internet, television has received a renewed attention in academia in recent years. The global television industry has also responded by using the Internet as a distribution channel for television programmes. Television scholars are pondering about the future of television in a digital world. A conference titled “What is television?” was organised in March 2012 by a leading critical communication scholar, Professor Janet Wasko at the University of Oregon. This conference discussed issues about competition in the television industry, television business models, future of television in a digital world, policies and regulation of television, changing nature of television audience, and the future of public broadcasting. However, one area -- television journalism -- was hardly addressed. In the Bangladeshi context where television has been becoming the dominant mass medium, it is necessary to talk about television journalism. The emergence of numerous television channels in the private sector in this country calls for a critical approach to study television and television journalism. As television is one of the most powerful mass communication media, its study involves the studies of political, economic and cultural aspects of television programme production and news production and the impact of programmes and news on people. To delimit the focus of this article, I concentrate on the field of television journalism in Bangladesh. I draw upon Pierre Bourdieu's idea of field and rely on my observations about TV journalism and discussions with some key figures in Bangladeshi television journalism. Pierre Bourdieu, a leading French social thinker of the 20th century, talked about journalistic field in his several books. For Bourdieu, field is a social space with its own territories, norms and participants (Bourdieu, 1984). Journalistic field is a sub-field of cultural field which is divided into two sections -- the field of restricted production and the field of mass production. Television journalism is a sub-field of journalistic field and belongs to the field of mass cultural production. The participants of a journalistic field include the state, media owners, journalists and audiences. They interact in the field based on some rules made by the state. Struggles between the participants determine which rules will be framed. Television is unique in the field of journalism for its universal diffusion power. People do not need special skills and competence to watch TV programmes and news. Bourdieu (1998) outlines the importance of television when he says, “Television enjoys a de facto monopoly on what goes into the heads of a significant part of the population and what they think.” Bourdieu here talks about television's influence in French context where a high proportion of the population relies on television as their daily news source. Like in France, in other West European countries and in North America, television sets the agenda for political and cultural debates and influences other social fields such as the fields of politics and economics (Benson, 1999). Other media, such as the print, also recognise television's wide acceptance among people by publishing information about television programmes. But we are living in a context where a large proportion of people neither read newspapers nor watch television as these media are beyond their reach. 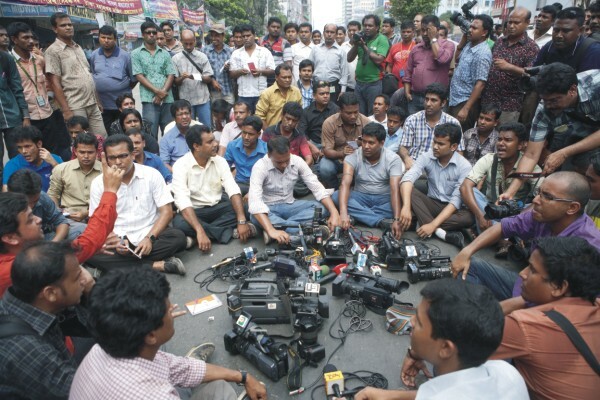 Consequently television journalism is yet to have the same clout in Bangladesh as in the west. Moreover, this sub-field is subdued by the field of politics and the field of economics. 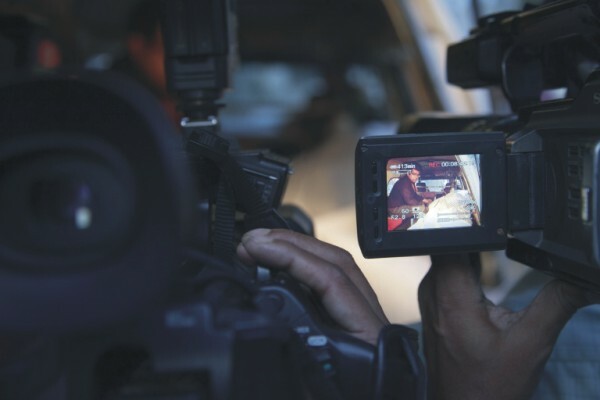 Television journalism as a field has been growing steadily after the state allowed the private sector to launch television channels in the late 1990s, limiting the influence of the state-owned Bangladesh Television (BTV). The 1990s is the decade when neo-liberal processes such as privatisation and liberalisation swept across the Bangladeshi media field, causing significant changes to the media systems (Bhuiyan, 2011). The political parties which ran the country since the 1990s created clientelism in the field of cultural production in licensing companies to launch private television channels. The Awami League (AL) government of Prime Minister Sheikh Hasina granted the first license to private companies to launch TV channels in the late 1990s. Ekushey Television was the first private channel to begin transmission in 2000. But with the end of this AL regime, the BNP government of Begum Khaleda Zia terminated the transmission of Ekushey Television, forfeiting its license as the ruling party saw the licensee as a supporter of the previous government, but doled out new television licenses among its cronies. A number of new private channels such as NTV, Channel i, Boishakhi, R-TV, Diganta, Islamic TV, Channel 1, CSB and Jamuna appeared in the field of cultural production. The military-backed caretaker government shut down CSB, a CNN-style television channel in 2007. With the end of the BNP regime, the AL returned to rule the country with again Sheikh Hasina as the prime minister. This time the government shut down Channel 1 as it was owned by an accomplice of the eldest son of former Prime Minister Begum Khaleda Zia. The governments could shut down the channels on different occasions as the channels lacked valid government documents to broadcast. The AL this time also distributed new licenses to its cronies and as a result, many new channels including Independent, Maasranga, Somoy, Channel 9, Mohona, My TV, and Channel 71 have appeared on the broadcast scene. In terms of transmission, all the privately owned channels are satellite based and reach people's homes via cable. In terms of content, a few of them are 24-hour news channels such as ATN News and Somoy while most are entertainment channels with regular news hours. The field of television journalism is deeply connected with the political and economic fields as political power-play and private capital continue to shape television ownership and content in the post-1990s period. The principal tool for the government to twist the arm of the emerging television industry is the Privately Owned Television Channel Installation and Maintenance Policy, 1998. This policy accommodated some provisions from the Telegraph and Radio Act, 1885 and the Wireless Telegraphy Act, 1933 and is about licensing and programming requirements. License for launching a television channel is initially given for five years and is renewed afterward depending on the performance of the channel. Bangladeshi companies or joint ventures of local and foreign companies can own a television channel. A license cannot be sold or transferred to another party without the permission of the government. A channel has to build a countrywide network and develop capabilities to transmit programmes to Asian and Middle Eastern countries through satellites within five years after the issuance of the license. Private channels are required to broadcast two news sessions of the Bangladesh Television, government announcements and speeches of the president and prime minister addressing the nation for free of cost. They are also required to broadcast special programmes on important national occasions such as on Independence Day and Victory Day. A channel is free to import entertainment programmes from outside the country by adhering to the Film Censorship Code. A channel can fill up to maximum 20% of its daily airtime with advertising. A national regulatory committee comprised of bureaucrats from different ministries is entrusted to look after policy formulation about privately owned television channels, review the performance of these television channels, and recommend the renewal of their licenses. The policy authorises the government to detain and suspend the transmission of any message and temporarily take over a television station “on the emergence of any public emergency or in the interest of the public safety”. This provision makes the privately owned television channels toe the line. Television journalism which began with the availability of the private TV channels is in its infancy. The state-owned television channel, which had been offering news services since the mid-1960s, did not lead the growth of the field of television journalism in this country. The hourly news broadcast by the state-owned television has been nothing but the publicity of the speeches and activities of the ruling party politicians holding state portfolios, ignoring the viewpoints of the opposition. BTV news services in most cases do not pass the tests of objectivity, neutrality and fairness. With the availability of the private channels, this news trend has changed a little bit. News services on the private channels try to be neutral by reporting the activities of the opposition parties, but they lack depth. They are straight-jacket with almost no investigative and interpretative reporting and exclusive stories. Senior television journalists call the existing form of television journalism “event journalism” where reporters and camerapersons are busy covering everyday events. Television's link with the field of power and field of economics may have contributed to this kind of journalism. Some owners do not have a clue about investigative and interpretative journalism. Those who know the value of such journalism do not pursue it because it requires additional investment. They do not want to invest for investigative reporting or special or exclusive stories by allowing journalists enough time and providing necessary equipments and cash. They avoid doing investigative reporting against government machineries and corporations to keep the government and their advertisers happy. They are interested to make money or protect their other businesses by pleasing the government and advertisers. Many television journalists are also not capable of going beyond straight-jacket reporting because of lack of training. The sudden growth of television channels has created a huge demand for journalists. The existing mass communication and journalism departments in the country can hardly supply the necessary skilled labour for the booming television industry, requiring the television channels to arrange in-house trainings to train their journalists. As more and more new television channels keep coming in the market, television journalists are in high demand. A journalist who has just finished their apprentice period at a television channel can jump to a new channel with a higher salaried position. Many journalists are always on the move for better opportunities. The demand for journalists has increased the average salary of a television journalist by creating inequality among the journalists with some highly paid journalists on the top and many low paid journalists at the bottom. The salary of a television journalist depends on their individual ability to sell themselves and relationship with the owner-managers. While the newspaper journalists have a state-determined salary structure, the television journalists are dependent on the market and the whim of the owner-managers for this. Since the television journalists lack collective bargaining power, they have hardly any say in determining policy for the television industry. The nature of television journalism in this country continues to be shaped through interactions between the ruling politicians and the owners of the television channels. Benson, R. (1999). “Field theory in comparative context: A new paradigm for media studies.” Theory and Society, 28, 463-498. Bhuiyan, AJMSA (2011). “Press freedom: Still a far cry.” Forum, 5(05), 6-10. Bourdieu, P. (1998). On television. New York: The New Press. AJM Shafiul Alam Bhuiyan, Ph.D., is the chair of the newly created Department of Television and Film Studies at the University of Dhaka. He did his MA in Communication in the School of Journalism and Communication at Carleton University in Ottawa, Ontario and his Ph.D. in the School of Communication at Simon Fraser University in British Columbia, Canada.